These balls are 80mm, 3.15" balls, phthalate free, lead free and bulkpack in double wall box, and do not come with any storage bags. 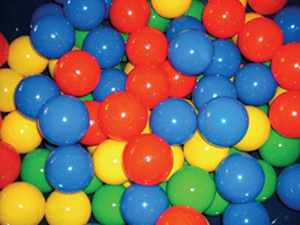 These balls are light-weight enough for children to toss and roll safely. These authentic pit balls are made of durable, safe, and non-toxic materials that are easily cleaned with just soapy water. We will guaranteed theese balls for 90 days. Our "Triple Warranty" means if the customer returned any balls which is defective, we will replaced them with triple the amount of replacement balls.